The SgtPepperChannel Blog: Beatles references and appearances in cartoon TV Series and puppetry shows. 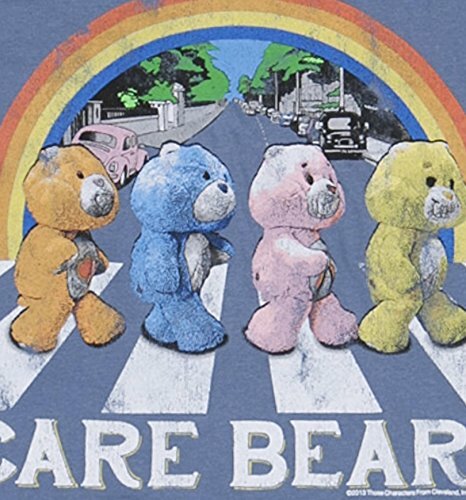 Beatles references and appearances in cartoon TV Series and puppetry shows. 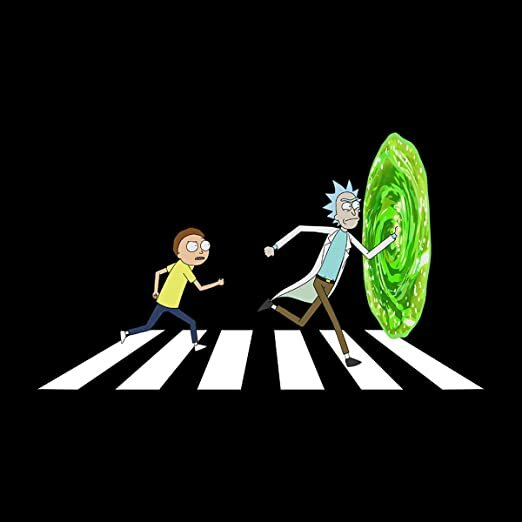 Featuring: The Simpsons, South Park, Family Guy, Futurama, American Dad, Powerpuff Girls, CatDog, My Little Pony, Flintstones, Steven Universe, Teen Titans, Robot Chicken and many more. Featuring: The Muppet Show, Sesame Street/Sesame Tree (one is from US the other from UK), Spitting Image and more. There are many blogs that treat subjects like Beatles references and appearances in songs, movies and general pop culture. However, these blogs usually only talk about it, except in a few occasions a link is thrown in, but most of the times they leave the actual reference to you to find. In the SgtPepperChannel blog and channel we covered most of the references in music and films, both with a 50 minutes video and this time we will look at all the Beatles references and appearances in cartoons from TV Series and puppets animations/sketches from kids programs. Making these sort of video is almost impossible to release publicly as copyright infringements usually ends up in taking the video down, in fact the YouTube upload lasted less than a week and was barely viewed (it got only 3000 views), so, one more time Google Drive comes at hand. This compilation contains the full episode of Celebrity Deathmatch, the unedited musicvideo of Ringo's song in The Powerpuff Girls, the extended scene of Ned Flander's Beatles collection (The Simpsons) and the unedited Mad Mod chase from Teen-Titans. 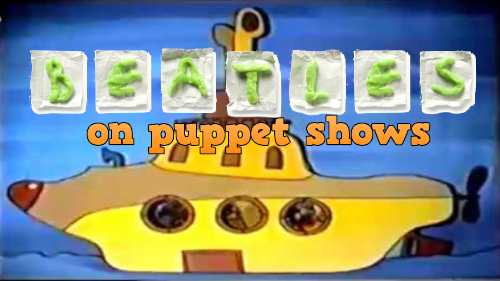 And it also contains the clips from the "Beatles on Puppet Shows". This blog is great if you want to share both subjects at once. Let me apology on advance for any eventual mistake or misspelling. For PUPPET SHOWS BEATLES REFERENCE scroll down ! There is a weird recurrence every time I upload a big project like this the main video of this blog, and it is that, as soon as I publish the new video I find a similar upload that could have helped me a lot during my research. In this case I found three Simpsons clips compilations with a few clips missing on this blog collection. The following 3 videos are linked straight to the point. This podcast mentions a few clips missing from the main video of this blog. A very funny one is the end of the credits in “D'oh-in' in the Wind” (S10E06) where homer said “I buried Flanders”. One last Beatles reference missing from the main video can be found in the episode "Rock Bottom", but it appears very quickly. So, here's a screenshot of the actual reference. 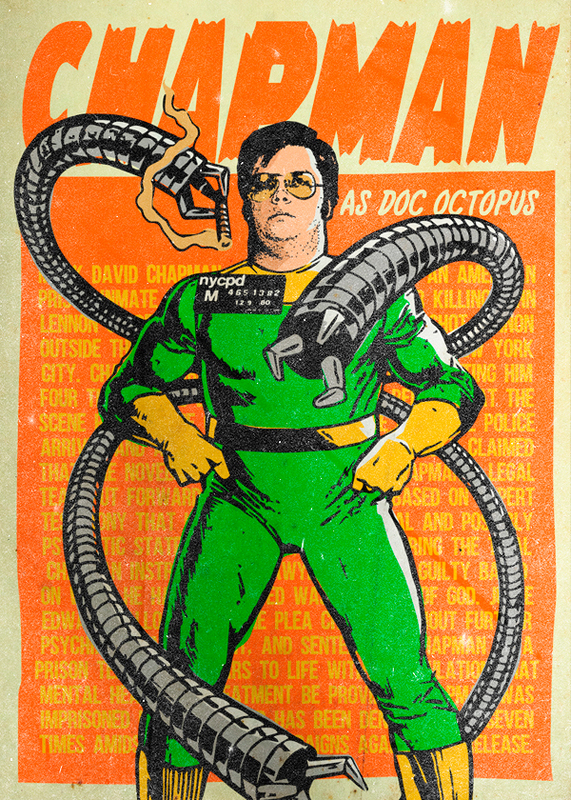 A similar (trippy) clip can be seen in the episode S02Ep12 A Sharkwork Orange of Eak! The Cat. As all the episodes are in Japanese, it was too demanding to follow the whole episode(s) only to understand who is who and if the clip is worth to be used; also I had trouble distinguishing the references in the cartoon from the one in the comic book … it is just too much work for this animation series. And the cartoon The Loud House briefly mention the song All you need is love. This clip features Beatles albums portrayed by Spongebob, however, there are no direct references, just use a bit of imagination to get the connections. Another interesting cartoon that is not mentioned in the main collection is the episode number four two of the second season of BoJack Horseman called "After the Party". In this episode there is a very special guest: Paul McCartney! Indeed that’s Sir McCartney voicing himself. The episode was aired on July 17, 2015. Here’s the full clip: Paul’s scene is at the end. And here's just the ending clip featuring Paul's cameo. Same thing for the children cartoon Wonder Pets!. The episode "Save The Beetles!" 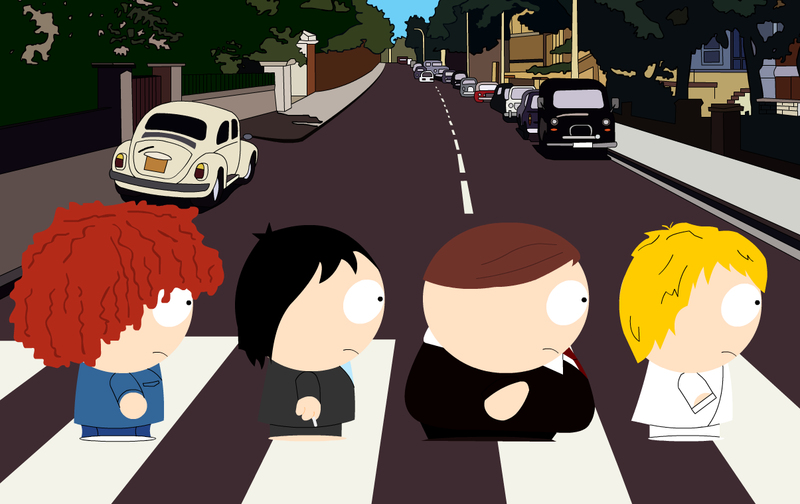 has the fab four in beetle version as main characters throughout he entire video. The Beetles get stuck with their submarine among some seaweed and Wonderpets save them. The Beetles play a concert to thank them. This cartoon is more suitable for a young public. Another cartoon with "beetles" as main characters is Timon & Pumbaa in the episode "Rocky Mountain Lie". Sorry for the format of this video. The next cartoons are (no wonder) from The Simpsons (Matt Groening is a big fan). The one with most references is the first episode of season 5, "Homer's Barbershop Quartet". 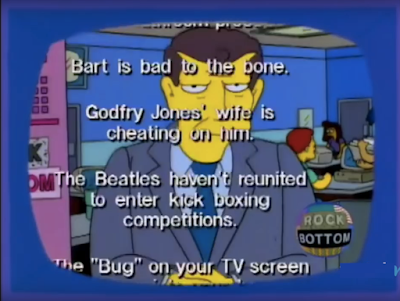 The plot resembles a in many aspects stories of the Beatles and references so many Beatles things; also, in this episode George Harrison plays a cameo as himself in two scenes. The next one is "Lisa is a vegetarian" with Paul and Linda McCartney as guest. Their scene is towards the end, and for this episode they also used the song Maybe I'm Amazed in the credits. If you listened closely at the music in the credits you may have heard some backwards voices. That's Paul reading a recipe for a really ripping lentil soup ! Here you can hear that message played in reverse. The other Beatle to appear as voicing of own character is Ringo Starr. Ringo has the most lines between the three episodes ... well, as we know Ringo is a good actor. This is the episode number 218 ("Brush With Greatness"). I had trouble including a clip from Adult Swim parodying the Yellow Submarine. the cartoon series is called Robot Chicken. Somehow 360px and 240px videos are not subject to copyrights! Since I'm sharing full episodes here's a one with a short parody of the Beatles/Simon & Garfunkel performance at the Ed Sullivan Show made by Animaniacs. The trilogy episode (Season 3 Episode 15) has a reference in the name : "A Hard Day's Warner / Gimme a Break / Please Please Please Get a Life Foundation". Among these cartoons with reference to the Beatles in the title there is the episode "Every Little Thing She Does" of My Little Ponies (MPL). If you would like to see in full some of the cartoons presented in this collection let me know in the comments. For now, I think these are the ones who need to be seen in full. In case anyone of you is Italian, I have the clip from Detective Conan dubbed in Italian. And if you speak Spanish I have the clip from "Communuts" by Histeria! in Spanish. 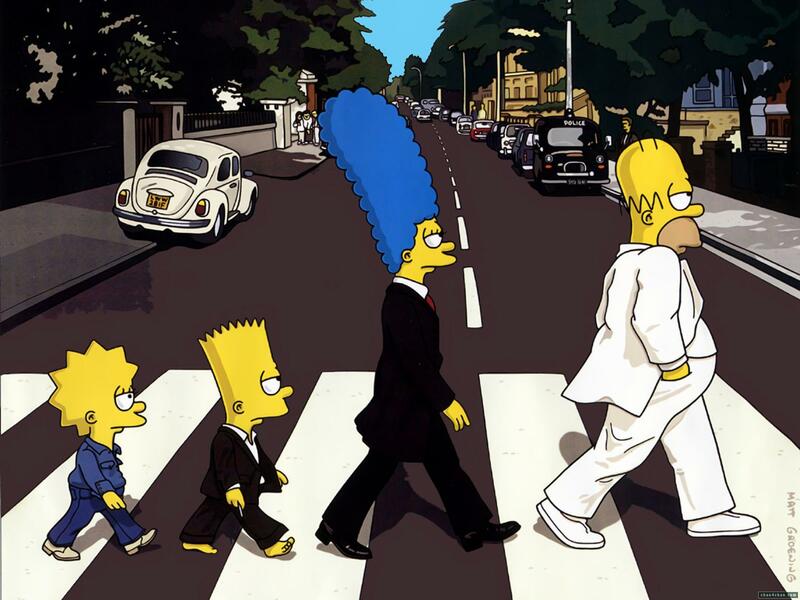 An honorable mention goes to The Simpsons, Sesame Tree and Teletubbies doing the Abbey Road crossing. The main idea was to make a unique video for cartoons and puppetry, both because I wanted to keep the video to a certain length and also because many fonts complain that puppets are not animation. But, since the YouTube upload has been deleted the two subjects will be blended into a unique video. However part 1 of the video is just cartoons, part 2 is puppets. An extended clip I could share is the one produced in 1988 by Spitting Image featuring Paul McCartney, The Who, The Rolling Stones and other rock stars. Somehow most of you find these clips from Spitting Image disturbing. So, maybe viewer discretion is advised. This is actually the third time I made and published this video and every time it got blocked after reaching thousands of views, but, because it is an interesting subject I don't mind re-working on it. From now on this compilation will be my backup video. If you would like sharing this video but you think it is too long, then there is a SUPERCUTS version too available ! … and I might even stop here. 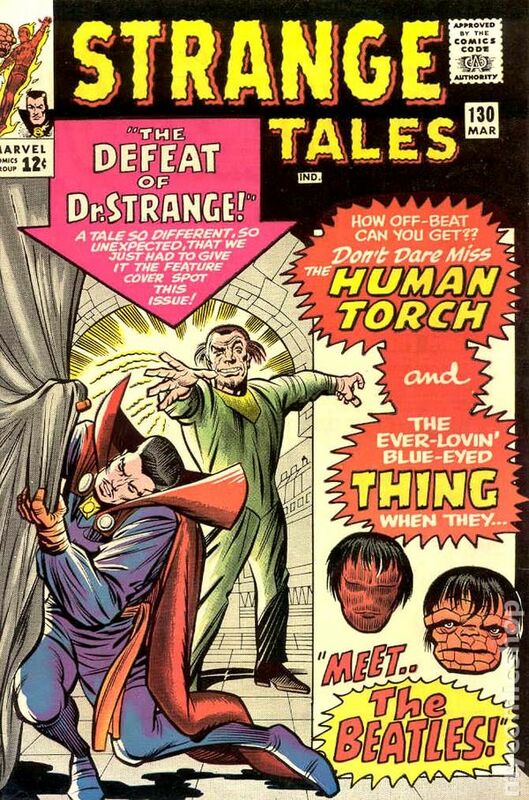 I could make an entire blog about Beatles in comic books. I'll leave a link to four videos I made containing the whole comic book. And, since you are here, this is a slide-show video I made long time ago. It has all sorts of random animations and cartoony pictures.